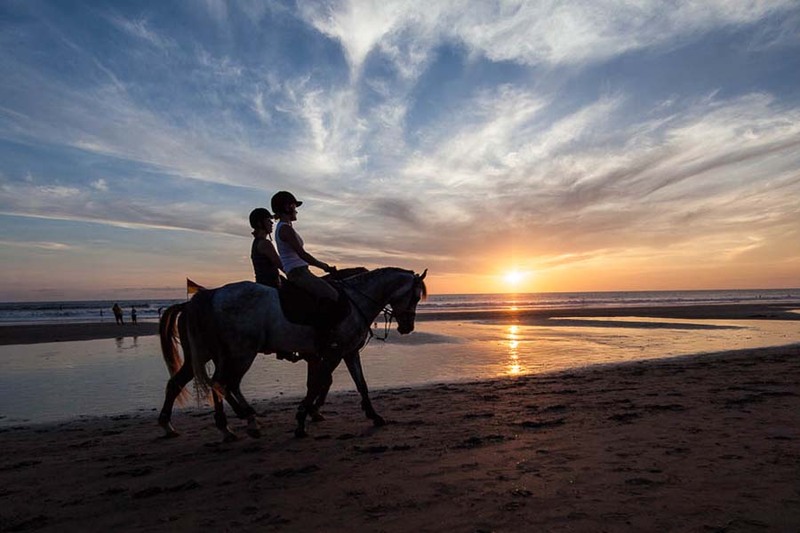 Bali Horse Riding Tour is a Bali Adventure Tour to enjoy horseback riding adventure in Bali passing beautiful rice terrace and is a natural Balinese experience with a mystic ride on track. Is great experience during your holiday in Bali Islands by try our Horseback riding tour packages in Ubud. You will ride slow and gentle pace assist by our professional horseback riding guide, on the way you will see the beautiful scenic of Balinese Village Compound, then we will ride through the tropical forest, beautiful river, then on the way back to horse stable we will passed the beautiful and amazing view of rice paddy. Then we take break near rice field and having fresh coconut water in the middle of rice field near the temple. Then after finish taste the delicious fresh coconut water, we will heading back to horse stable with bring unforgettable moment during the ride.